Bananas are commonly eaten as a healthy snack as they offer valuable nutrients such as the B6 and B12 vitamins. 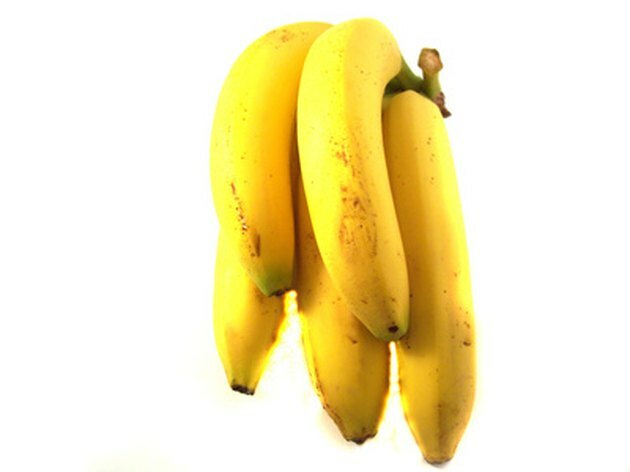 As well of being a source of nutrition, the yellow peel of the banana has skin care benefits. According to Alternative Home Remedies, the peel of the banana has the capability of drastically reducing skin irritation, including swelling and redness. You can also use the peel of the banana to act as a homemade blemish treatment. The potassium and antioxidants housed within the peel of the banana have the ability to diminish the visibility of unsightly scars. Remove the peel of the banana to expose the inner fruit. Eat the fruit of the banana to absorb vital nutrients, while saving the outer layer known as the peel. Pull one strip of the banana peel away from the rest. Bend the peel inside out to expose the white colored inner layer of the peel. Locate the scar on your skin that you wish to fade the appearance of. Rub the soft inside layer of the banana peel back and forth against your scar to allow the surrounding skin to take in the vitamins and nutrients of the peel. Allow the moisture from the banana peel to dry onto the skin of your scar. Moisten a cotton cloth under your sink with some warm water. Rub the dampened cloth over your scar to remove any excess pulp that came from the inner layer of the banana peel. Apply the banana peel onto your skin on a daily basis to visibly reduce the appearance of your scar.